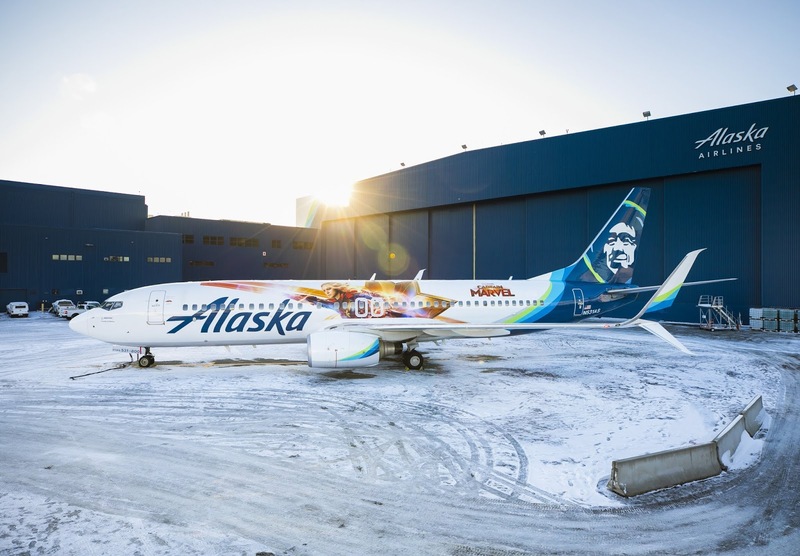 Alaska Airlines has unveiled a special-edition aircraft this week which features Marvel Studios' first female Super Hero lead. The Captain Marvel-themed plane was shown off to passengers and the media on Tuesday, February 5th at Seattle's Sea-Tac International Airport before heading off on a scheduled flight to Orange County, California. The new movie, Marvel Studios' Captain Marvel is scheduled for release on March 8th, International Women's Day. It is set in the 1990s and is an all-new adventure from a previously unseen period in the history of the Marvel Cinematic Universe. It follows the journey of Carol Danvers as she becomes one of the universe's most powerful heroes. While a galactic war between two alien races reaches Earth, Danvers finds herself and a small cadre of allies at the centre the maelstrom. 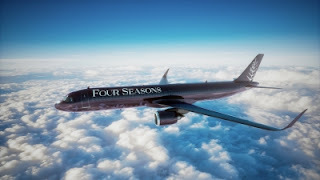 The film has a stellar cast, including Brie Larson, Samuel L. Jackson, Ben Mendelsohn, Djimon Hounsou, Lee Pace, Lashana Lynch, Gemma Chan, Rune Temte, Algenis Perez Soto, Mckenna Grace, with Annette Bening, with Clark Gregg, and Jude Law. "This new plane featuring Captain Marvel will delight guests of all ages," claims Natalie Bowman, the managing director of marketing and advertising for Alaska Airlines. "We're excited to showcase a pilot who's risen to Super Hero status––an image that embodies strength and confidence and inspires future aviators across our expansive network to go further."